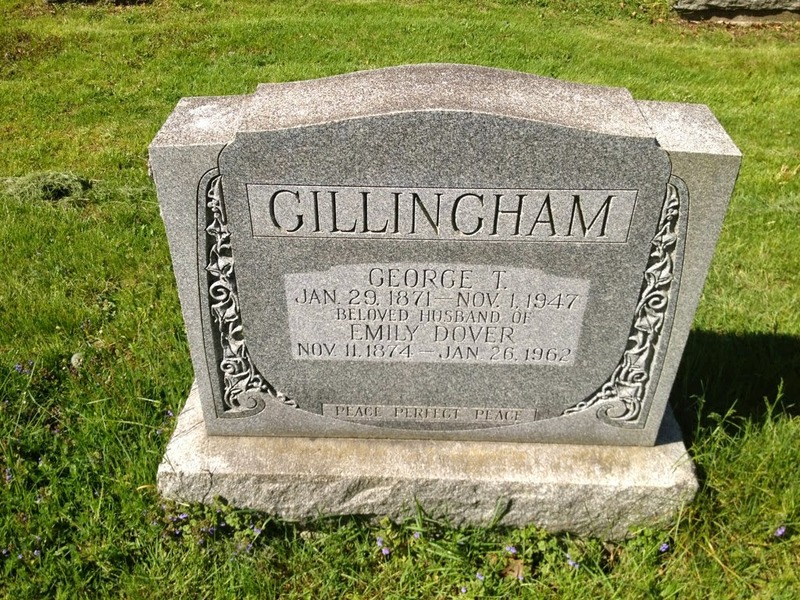 The 3rd challenge in honor of Family History Month at the Global Family Reunion blog was to visit a cemetery you haven't visited and photograph the gravestone of an ancestor. Sadly, it was rainy here today, and I don't do cemetery photos in the rain, so I'll have to cheat a bit. Instead of my own ancestor, I am going to do the great grandparents of one of my aunts. Their names were George Thomas Gillingham and Emily Ann Dover. They were buried in Victoria Lawn Cemetery. Previously, my husband and I photographed most of the stones at Victoria Lawn. I intend to eventually upload them all to the appropriate Geni profiles. I uploaded the photo to their Geni profiles. It was a pleasure working on this family today. I hadn't previously researched any of my aunts family and it was pretty quick to get many documents of her various ancestors.